Just because I think this could be very, very cool if done well. 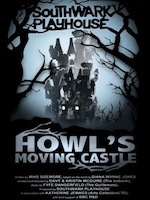 Southwark Playhouse is putting on a production of Howl’s Moving Castle as their Christmas show. They will combine live action with projection. 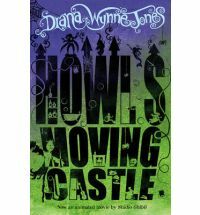 Howl’s Moving Castle is a great story penned by the brilliant Diana Wynne Jones, who sadly died earlier this year. Hayley doesn’t really know what she has done wrong only that whatever it was it was bad enough that her grandmother packed her off to live with aunts and cousins she’s never met. It’s so very different there, noisy and chaotic. She begins to feel welcome and cared for in a way she hasn’t previously. 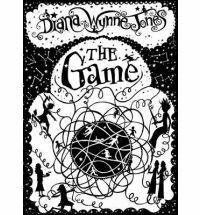 Then there is the game – something that takes them into the mythosphere, pursuing quests and going deliberately against the wishes of the mysterious uncle Jolyon. 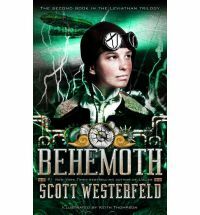 Hayley is about to discover the mythosphere holds the key to her family’s secrets, her past and her future. 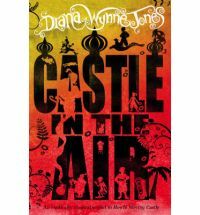 This is another fun read from the remarkable imagination of Diana Wynne Jones. It is filled with interesting characters that will either be vaguely familiar, if you have some knowledge of mythology, or an interesting introduction to it. 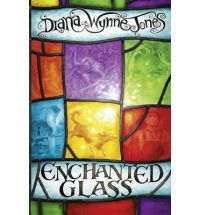 Jones has painted a vivid and wonderful picture that takes us on a fantastical journey with Hayley as she discovers herself and her family. It is a story that draws you in and sweeps you along as you champion Hayley in her efforts. 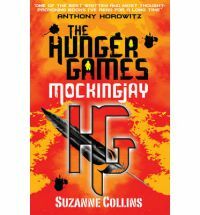 The characters are well described and fit together in a way that seems just right, the good and the not so good all having their place. A thoroughly enjoyable story woven by the delicate touch of a master craftsman. I have yet to pick up one of Jones’ stories that hasn’t pulled me in, in a way that keeps me wanting to turn the pages and only reluctantly put it down unfinished to do what else is required of me during the day. If you haven’t read one of her books then you certainly should. Jocelyn Brandon died leaving his house and magical field-of-care to his grandson Andrew. Unfortunately he doesn’t leave Andrew any instructions and Andrew has forgotten most of what he learnt while staying with his grandfather during his childhood. He does however remember the strong-willed staff, the fact his grandfather put large inedible vegetables on the roof of the shed and the stained glass window in the kitchen door that must be protected. Andrew has plans when he first moves in but they have nothing to do with his field-of-care and finding out about that involves a steep learning curve. Into this situation comes young orphaned Aiden, who was seeking out Jocelyn for help. Andrew takes Aiden in and it becomes clear there is some kind of connection between them. Aiden can see magic and he helps Andrew as Andrew helps him. There is a mystery to solve and they will need to do it together if everything is to be set right. The setup may be vaguely familiar, a little town populated by quirky characters. A house populated by unknowing new-comers and strong-willed old hands. It needs to be said though that in no way does this equate to a stale story. Andrew is seen as he is but also shaded by other characters views of him, Mrs Stock’s continual comment, ‘World of his own, that man!’, for example. Aiden brings youth and freshness to the story which results in Andrew getting in touch with the person he was and could be. Strong-willed characters clashing yet coming together bring humour and vitality to the story, each of them adding colour, like a pane from the glass window. 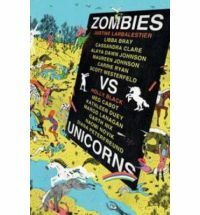 I was intrigued by the magical characters introduced at the heart of the mystery, a twist on some familiar faces. Once again Jones has written an intriguing and dare I say enchanting story that is capable of sweeping you away from whatever your reality is. 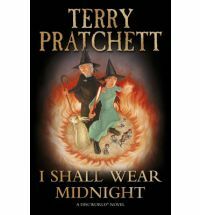 Cat and Gwendolyn are taken in by a witch when their parents die. It is very quickly discovered that Gwen is a girl with a lot of natural talent. 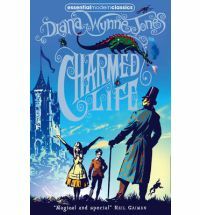 Into their lives comes Chrestomanci who takes them to live at his castle, which is exactly what Gwen wanted. Only that’s when is all starts to go horribly wrong. Gwen is furious with Chrestomanci’s declaration and determined to get the better of the great enchanter. Her brother Cat has always been at her mercy and with no magical gift of his own he is powerless to stop her even when her actions are so terrible. Gwen isn’t as great as she thinks she is, Cat isn’t as helpless as he believes and the evil schemers really don’t understand all they are dealing with. A wonderful fantastical story. Chrestomanci is the perfect foil for Gwen’s arrogance. You feel sorry for Cat who is treated so badly by the sister he loves. Gwen is the sort of character you love to hate. 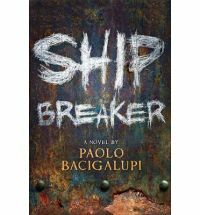 This is a story where the characters continue to develop right up to the very end and leave you knowing there is so much more to them. 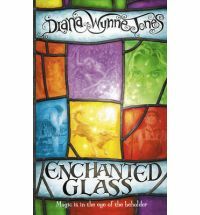 Diana Wynne Jones has created a world that leaves you wanting to return to it. wishes go out to those of you who knew her and feel her loss.